Prestige Tranquility is most approaching project developed by Prestige Developer, located at off Old Madras Road Bangalore. 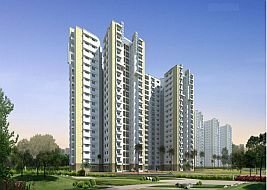 This project facilitates 1/2/3 BHK luxury apartments with size 664- 1994 sqft at Rs 2628 per sqft. The offered amenities presented by this group is Acres of Green, close proximity to malls, beautiful landscape, business centers, International schools and the proposed 4 Lane National Highway symbolizing the combination of peace and tranquility within the city life. Kids play area, Swimming pool, Sports facility, Gym, landscaped garden, Eco friendly environment. •Prestige Tranquility will be a gated community spread across 38 acres of land. •Prestige tranquility is located on old Madras road, 15 min drive from K R Puram Bridge. •Special pre- launch price for first few booking. As a real estate Development Company privileged with people's trust and credited with transforming the skyline of Bangalore, the Prestige developers constantly strive for perfection. Their ultimate aim is to exceed your expectations. A proof of their efforts - they are the only builders to get a reaffirmation of the Crisil DA1 rating. They have also become an ISO 9001:2000 certified company. They are also the only builders in Bangalore whose software and residential facilities have won the reputed FIABCI award. Their impressive portfolio includes upcoming projects like the UB city, Prestige Shantiniketan and the Prestige Technology Park.